Now that the late-summer doldrums are upon us, we know what you’re thinking: Why go out to eat now? You have back-to-school on your mind, and the budget needs to go for other expenses, like backpacks and books. Plus, who goes out in late August? If you’re not back-to-school shopping, you’re on vacation, right? Well, yes. And that’s the reason it’s a great time to go out. 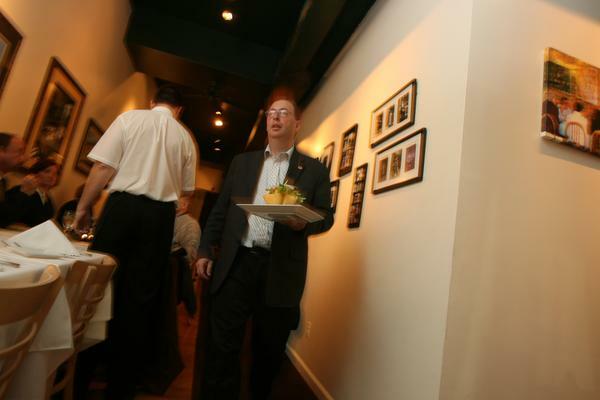 The crowds are fewer, and restaurant owners are trying to fill their tables. Their solution? Deals. Big, money-saving deals. 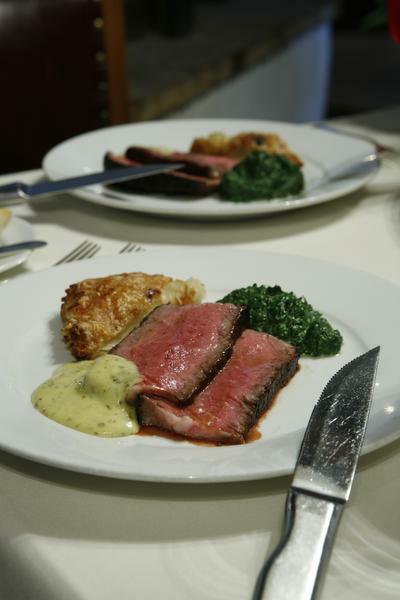 At Restaurant X in Congers, the Cowboy Ribeye steak dinner for two is served with creamed spinach, potato gratin and Bearnaise sauce. You also get two Caesar salads, two glasses of wine and two desserts, all for $80. Sure, we know: You can always find a good price for a restaurant meal by using coupons, going on Groupon or even signing up for The Journal News’ own Deal Chicken. And there are websites dedicated solely to restaurant deals, such as restaurant.com or savored.com, where you can book your table and get an automatic discount. But sometimes, you’re looking for a good old-fashioned prix fixe meal that anyone can sit down and order. No fussing around with coupons; no redeeming receipts. So yes, it’s late summer. But that doesn’t mean you can’t enjoy a night out on the town. We’ll see you there. The deal: Early Bird Prix Fixe with three courses for $19.95. Available: 4 to 6 p.m. Monday-Thursday. Why it’s worth it: Jardin du Roi successfully walks the line between French bistro and American cafe. Sure you can find croque monsieurs and creme brulees, but there are also pastas and steaks and a whole section dedicated to eight different burgers. The early-bird menu, with four entree choices, reflects that: you can choose among roasted sole, pasta carbonara, breaded half-chicken marinated in Dijon or, yes, a burger. Fine print: 95 King St., Chappaqua. 914-238-1368, www.lejardinchappaqua.com. The deal: Three-course prix fixe barbecue for $30 per person. 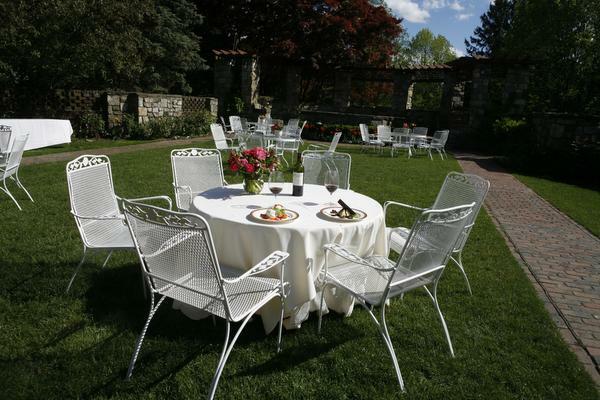 Why it’s worth it: The garden at Le Chateau has to be one of the most bucolic settings in the county. And oh, that view from the terrace! Pair that with a different themed barbecue menu each week, throw in a glass of wine (yes, that’s included) and that’s a good deal. And when we say “barbecue,” we mean Le Chateau-style, not down-home style, so you’ll get sophisticated dishes. Last week’s menu was Mediterranean-style with such choices as grilled pork brochette with saffron paprika and black olives. This week is a South American menu. Fine print: 1410 Route 35, South Salem. 914-533-6631, www.lechateauny.com. The deal: Two-course prix fixe for $25, including unlimited mojitos. Available: 4 to 6 p.m. Fridays. 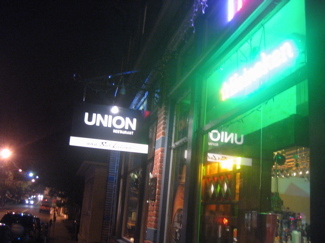 Why it’s worth it: Um, two words: unlimited mojitos. From 4 to 6! On a Friday! But besides the happy hour appeal, there’s a really enticing menu, too: empanadas, stuffed yuca, vaca fritas, Cuban sandwiches and pernil, that delicious, ooey, gooey, pull-apart slow-roasted pork dish from the Caribbean. And you’re in a dining room that’s made to look rustic and charming, just like Havana, with windows to look out onto Main Street. SaludSalute! Fine print: 35 Main St., Yonkers. 914-920-9777, www.labellahavana.com. Why it’s worth it: The views at 42, at the top of the Ritz-Carlton in White Plains, are matched only by the quality of the food coming out of chef-owner Anthony Goncavles’ kitchen. Deals here are so popular that during Hudson Valley Restaurant Week, it’s nearly impossible to get a reservation. This market menu, with such creative dishes as Cajun Tilefish with Green Gazpacho with Sungold Tomatoes or Free-Range Chicken with Jalapeno-Scallion Puree, Fava Beans and Hen of the Woods mushrooms, is only $6 more than Restaurant Week prices, and you get to skip all the crowds. Fine print: 1 Renaissance Square, White Plains. 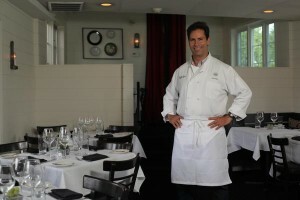 914-761-4242, www.42therestaurant. com. The deal: Take your pick. There’s a $16 three-course prix fixe Mondays-Wednesdays, a $21 four-course dinner Thursdays and Sundays, and a $35 four-course dinner on Fridays. Why it’s worth it: Goldfish has always been a pleasant place to spend an evening, but owner Michael Casarella recently remodeled, ripping up the carpet to reveal hardwood floors and removing the tablecloths. So now the restaurant feels even more bright and airy, and a bit more modern, too. The most popular entrees on the $16 menu are the chipotle salmon, the sea scallops and the strip steaks. You’d be hard-pressed to find a better deal anywhere. Fine print: 6 Rockledge Ave., Ossining. 914-762-0051, www.goldfishdining.com. Available: 5-9 p.m. Thursdays during Plates Patio Thursdays and starting at 5 p.m. Sundays in the dining room. Why it’s worth it: A summer evening on the patio — or in the air conditioning — with ribs, brisket and pulled pork? How can you go wrong? 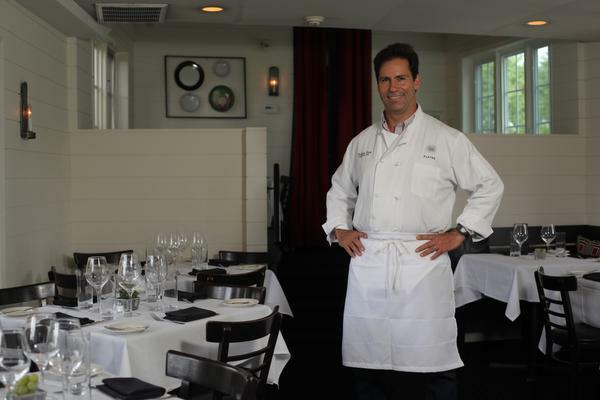 Chef Matthew Karp is trained in the classics, but loves to put his touches on good old American dishes, meaning you’ll definitely want seconds — a good thing when the deal is all-you-can-eat. (A bonus: you can choose what you’d like more of and skip the rest.) And here’s another tip: you can always just order the deal for your kids. Feed them food they’ll love to eat for only $10, and you can order off the regular menu. You can go fancy (terrine of foie gras and Wagyu “Mishima” Grade Sirloin with truffle Parmesan fries); or not: Greek salad and a grilled local grass-fed burger with Benton’s bacon and raw milk cheddar. Fine print: 121 Myrtle Blvd., Larchmont. 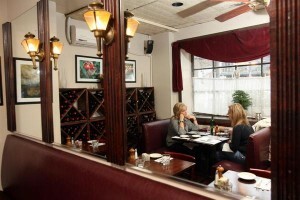 914-834-1244, www.platesonthepark.com. The deal: There are four noteworthy deals: two at X20 in Yonkers, one at Restaurant X in Congers and one at Xaviars at Piermont. Available: At X20, there are “Thursdays in the Dylan,” a $35, three-course menu at the loungeat X20; and a $25, three-course, prix fixe lunch weekdays in the dining room. At Restaurant X, the “Cowboy Ribeye” dinner special, $80 for two, is available every night (it’s on the menu). At Xaviars, the five-course, $55 farmers market dinner is available Sundays. Why it’s worth it: Where to begin? How about with the newest restaurant, X20. The $25 lunch menu, which has five or six choices for each course, is just as good a deal as you’ll find during Restaurant Week, when X20 is perennially booked. And the “Thursdays in the Dylan” menu is a rotating special that showcases the various influences on chef-owner Peter X. Kelly’s cooking. This week begins a new Japanese-inspired menu, and it includes “A Tasting of Fishes” (a platter of gorgeous looking sushi) along with an aged sirloin tataki and a warm Chowanmushi, a Japanese egg custard, which comes with crab, shrimp, scallop and lobster and is topped with sea urchin. Moving on to Restaurant X, here’s a chance to taste the dish that won Kelly the Iron Chef America title against Bobby Flay. The meal, a gigantic rib-eye steak served with gratin potatoes, creamed spinach and Bearnaise sauce comes with two Caesar salads, two glasses of wine and two desserts. And at Xaviars, it’s hard to beat five courses of dishes prepared with seasonal ingredients from the farmers market for only $55. That’s just a little more than $10 a course. 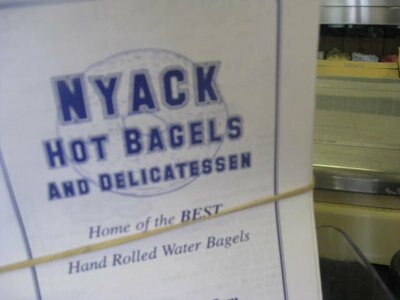 Fine print: X20, 71 Water Grant St., Yonkers, 914-965-1111; Restaurant X, 117 Route 303, Congers, 845-268-6555; Xaviars at Piermont, 506 Piermont Ave., 845-359-7007; xaviars.com. The deal: Monthly wine dinners for $35. Available: Once a month (the next one is Aug. 29). Why it’s worth it: Mulberry Street Italian Kitchen, a new Italian restaurant with a Carmine’s-style vibe, has been flying under the radar since it opened earlier this spring, but word is getting out. Here’s a chance to get a feel for a new place and get to have your wine paired for you at the same time. (Plus you never know, you might meet some like-minded food friends while you’re there.) This month’s menu is a Santa Margherita wine dinner, with prosecco, pinot grigio and chianti being paired with prosciutto and melon, orecchiette with sausage and broccoli rabe and a choice of strip steak or salmon. Fine print: 189 E. Post Road, White Plains. 914-761-1111, www.mulberrystreetwp.com. Why it’s worth it: So many Italian restaurants these days are either serving uber-cool and trendy dishes or old-school Italian American menus. So to have a chef turning out authentic Tuscan cuisine is a real coup. To have it for $40 for three courses — and four different wines — is even better. 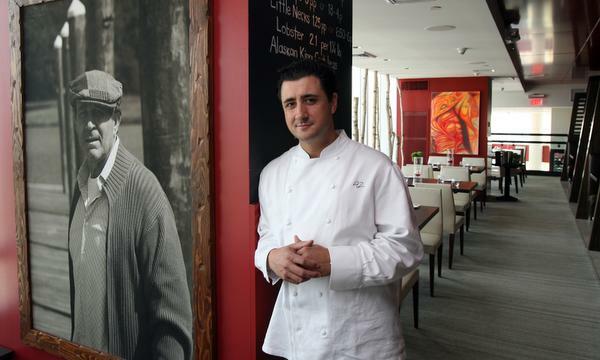 The menu changes each month, but you might expect some of chef-owner Rossano Giannini’s signatures, such as a Parmesan basket salad or penne al ragu Toscano, a pasta with Tuscan meat ragu. Fine print: 3 S. Broadway, Nyack. 845-353-8361, www.lanternausa.com.